(PARKER, Charlie.) PARKER, Chan & Francis Paudras. 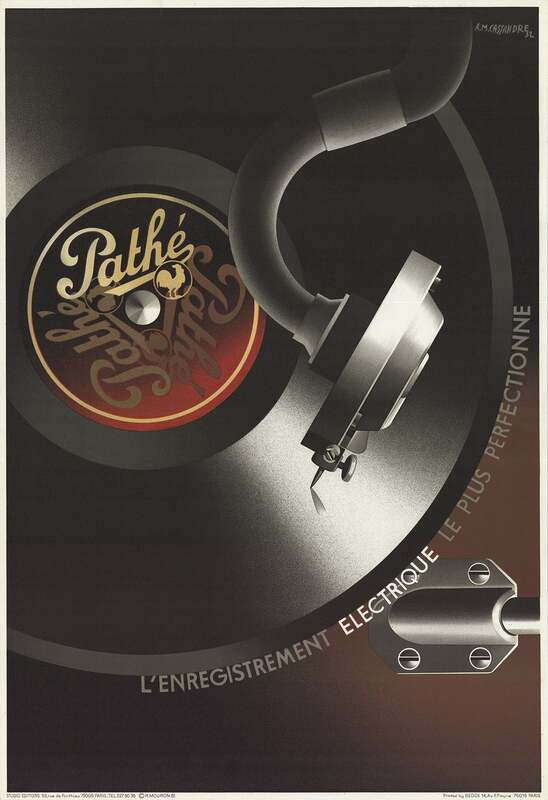 Poitiers: Editions Wizlov,, 1981. Folio. Original maroon textured boards with inset "address label," housed in the original laminated "parcel" tray box with lid. Profusely illustrated. Corners of the box split, and scuffed some minor stripping of the laminate, overall a very good copy. First and only edition, no limitation but hard to find, particularly in the fragile, entirely integral box. 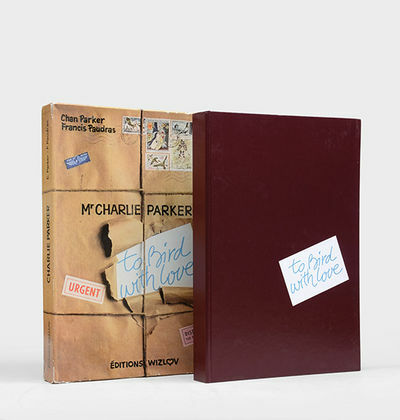 Visually superb, très émouvant memorial to Parker, reproducing the pictorial and documentary archive about which Chan, his lover, had "cared enough to preserve religiously." 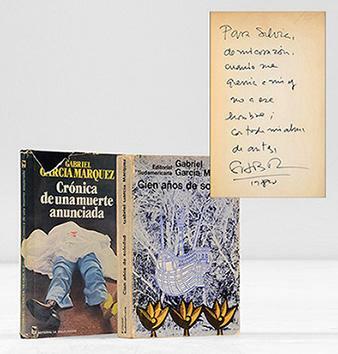 Cien Años de Soledad (One Hundred Years of Solitude); [with:] Cronica de una muerte anunciada (Chronicle of a Death Foretold). Buckingham Palace, October 7, 1981. 8" x 13". "A typed letter, on Buckingham Palace letterhead, 8"" x 13"". Dated""7th October, 1981"" signed by both Prince Charles and Princess Diana as ""Charles"", in black ink and and ""Diana"", in blue ink. Expected folds. Fine condition. With accompanying envelope, with the Buckingham Palace stamp on the verso. 8.5"" x 4.25"", opened at the top and postmarked ""London/7 Oct 1981"", addressed to ""S. Parkyn, Esq"".A wonderful letter thank you letter from Prince Charles and Princess Diana for their wedding gift from the Duchy. Dated ""7th October 1981"". Duchy's are ""Crown bodies"", regulated by acts of Parliament that have some of the powers of a corporation or trust. They invest in land, their income is payable either to the Monarch or the Monarchs eldest son. There are two Duchy's in England, however the Duchy referred to in this letter is the one from which holds the trust for Prince Charles, the Duchy of Cornwall which currently owns about 141,000 acres of land in England. It is estimated that Prince Charles receives his trust from The Duchy of Cornwall, with an annual income of nearly £12 million from his Duchy of Cornwall estate, however he is not permitted to sell off property or use the Duchy's capital. 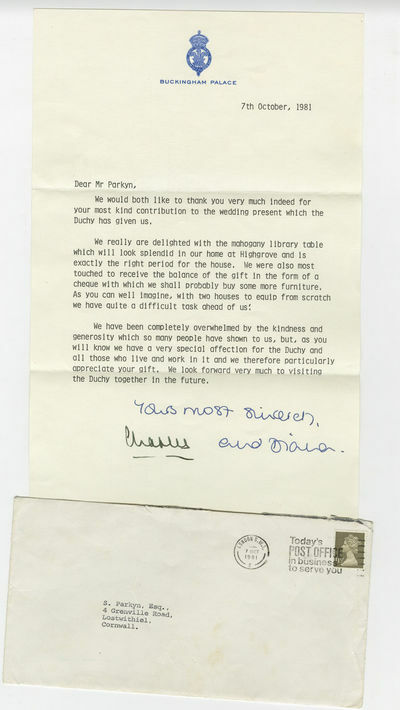 The thank you letter from Prince Charles and Princess Diana reflects their deep affection for the Duchy which is written as follows:""Dear Mr. Parkyn,We would both like to thank you very much indeed for your most kind contribution to the wedding present which the Duchy has given us.We are delighted with the mahogany library table which will look splendid in our home at Highgrove and is exactly the right period for the house. We were also most touched to received the balance of the gift in the form of a cheque with which we shall probably buy some more furniture. As you can well imagine, with two houses to equip from scratch we have quite a difficult task ahead of us!We have been completely overwhelmed by the kindness and generosity which so many people have shown us, but as you know we will have a very special affection for the Duchy and all those who live and work in it and we therefor particularly appreciate your gift. We look forward very much to visiting the Duchy together in the future.Yours most sincerely,Charles and Diana""The Duchy of Cornwall is a well-managed private estate, which was established by Edward III in 1337. The revenues from the estate are passed to HRH The Prince of Wales and Duke of Cornwall, who chooses to use them to fund his public, charitable and private activities and those of his family. The Duchy consists of around 53,000 hectares of land in 23 counties, mostly in the South West of England. The principal activity of the Duchy is the sustainable, commercial management of its land and properties. The Duchy also has a financial investment portfolio., and its primary function was to provide all future Princes of Wales with an income from its assets. The Duke of Cornwall traditionally manages their estates under the charter that the long term value of the estate can not be compromised.The Duchy’s 1337 charter established that The Duke of Cornwall, is the eldest surviving son of the monarch and the Heir to The Throne (currently and still Charles, Prince of Wales). When the current Prince of Wales accedes the throne, Prince William will become Duke of Cornwall.An important thank you letter written by Prince Charles and Princess Diana, to an entity that has looked after The Prince of Wales and Duke of Cornwall for almost 700 years!" New York: Viking, (1981). First Edition. Hardcover. Fine in a Fine slipcase, as issued. 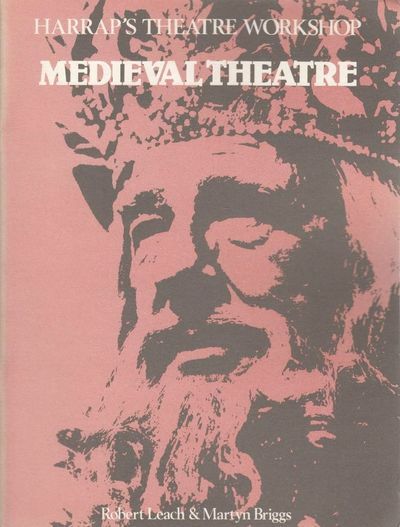 The First Illustrated Edition of Miller's landmark play, limited to 500 numbered copies SIGNED by the author with photographs from several productions of the play. Oconomowoc, WI [1-5] then Buford, GA: Skid, 1981. 8 1/2 x 11", photocopied on both rectos and versos and stapled once at the upper left hand corner, with the exception of nos. 4 and 5, which are loose leaves laid into folded wraps. 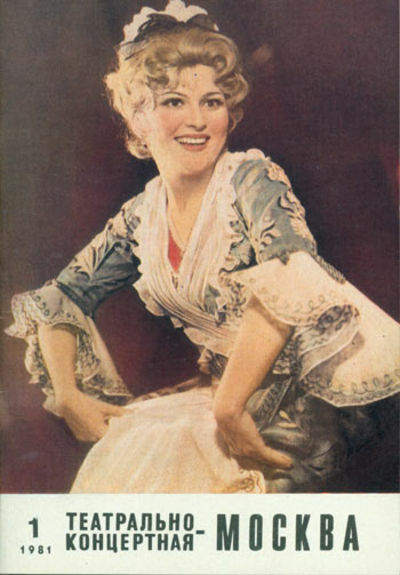 With hand-coloring to the cover of no. 1, likely as issued. Final issue addressed and mailed with a postmark in the year of publication. Complete run of this teenage zine out of Wisconson. Lots of reviews, New York scene report by Lyle Hysen of Damaged Goods in no. 2, interviews with James Chance, The Kingdom the Power the Glory, Bad Brains, Gun Club, Flower Children, The Beat, Secret Hate, and the Scapegoats. Near fine with some light handling creases and toning. 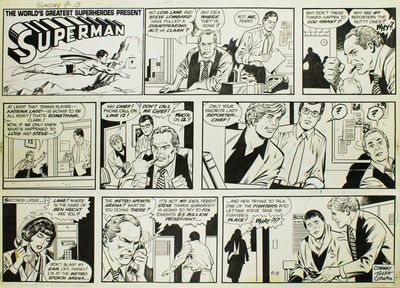 Superman: multi-panel page of original Sunday newspaper strip artwork by George Tuska, black ink on Strathmore paper. Dated, upper left, "Sunday, 9-13"
New York: D.C. Comics, Inc, 1981. 1 vols. 16 x 22 inches. Fine. 1 vols. 16 x 22 inches. A vigorous multi-panel drawing, by Tuska, fully lettered, of the exploits of the first and greatest superhero. Tuska specialized in particularly intense action scenes; he also illustrated such series as Green Lantern, Teen Titans, Justice League, Infinity, and Power Man. A fine, original example of 1970s action comic art. George Tuska finished his studies at the National Academy School of Art at age 21. In 1939, he became John Terry's assistant on 'Scorchy Smith'. At the same time, he joined the graphic studios of Jerry Iger and Will Eisner. There he worked on several comic books, like 'Jungle', 'Wings', 'Planet Wonderworld' and 'Mystery Men'. In the 1940s, Tuska created the character 'Hercule' for Quality Comics and, as a member of Studio Chesler, he drew several episodes of 'Captain Marvel', 'Golden Arrow', 'Uncle Sam' and 'El Carim'. Tuska was mobilized during World War II, so he had to postpone his comic activities. After the war, he continued in the comic field with 'The Crime Does Not Pay', and as the illustrator on 'Scorchy Smith'. In 1959, he took over the daily and weekly 'Buck Rogers' pages, which he continued until 1967. In the late 1960s, Tuska started working for Marvel, where he contributed to the series 'Ghost Rider', 'Planet of the Apes', 'X-Men', 'Daredevil' and 'Iron Man'. He continued drawing superhero comics for DC, like 'Superman', 'Superboy' and 'Challengers of the Unknown'. In 1978, along with José Delbo, Paul Kupperberg and Martin Pasko, Tuska started a new version of the daily 'Superman' comic. Tuska worked on this series until 1993. New York City: AGP Matthews Inc, 1981. A wonderful rare edition of 10 12" x 11 1/2" prints set in a black portfolio slipcase. 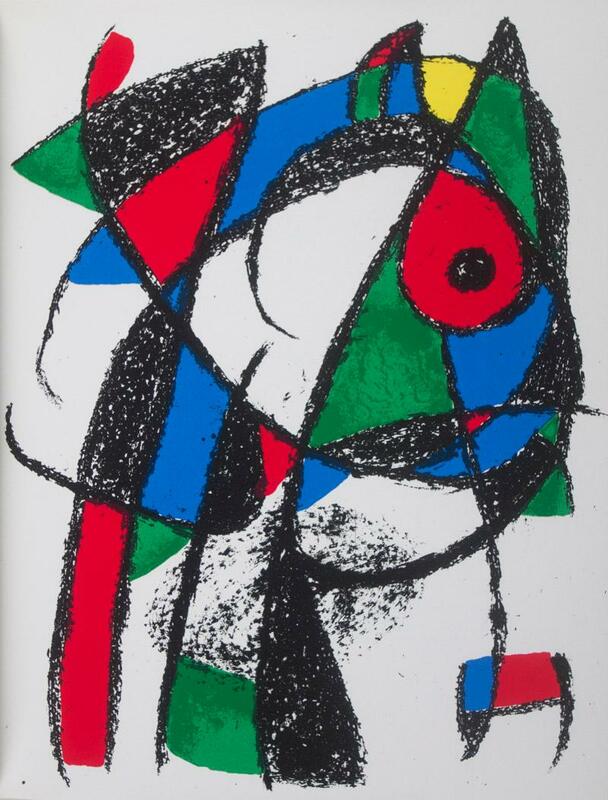 The prints are printed in full color from the original prints and represent the work of 10 major artists associated with the Dada movement including Arp, Hausmann, Picabia, Schwitters and Ernst. Also includes a large foldover brochure with notes on all the prints. A small tear to the bottom edge of the foldover brochure all of the prints are fine. Very scarce. Fine in a fine slipcase. First Edition. Prints in Slipcase. 1981. First Edition . HICKS, John R. Collected Essays on Economic Theory. Wealth and Welfare. WITH: Money, Interest and Wages. WITH: Classics and Moderns. Cambridge, Massachusetts: Harvard University, (1981). Octavo, original blue, green, and red cloth and paper boards, original dust jacket. 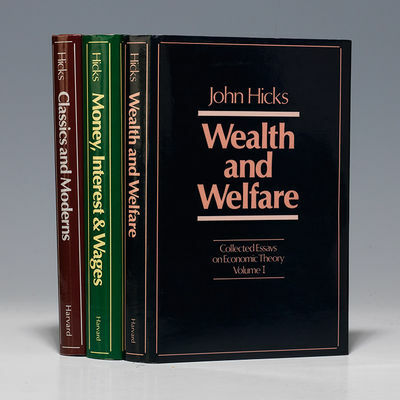 $1500.First edition of this collection of essays on money and growth, including two previously unpublished essays.This three-volume series comprises Hicks' most important theoretical papers. It covers topics such as price and income; welfare economics; monetary theory; the differences between Hicks and Keynes; Hicks' views on earlier economists; mathematical economics; and trade. ""One of the most important and influential economists of the 20th century, the trail of the eternally eclectic John Hicks is found all over economic theoryÂ… The quintessential 'economist's economist,' Hicks cannot be said to have founded a 'schoolÂ… If any, his school was 'economicsÂ… Hicks' scholarly output is a perfect demonstration of how economics should be done: without partisanship for pet theories, without ideological quibbling, his own strictest critic, learning from all and everywhere, constantly searching for new ideas and staying glued to noneÂ… No economist, before or since Hicks, has achieved such 'Olympian' scholarship"" (Fonseca). ""Hicks will probably appear in the history of economics as the greatest British theorist of the century"" (Niehans, 371). Hicks was awarded the Nobel Prize in economics in 1972. 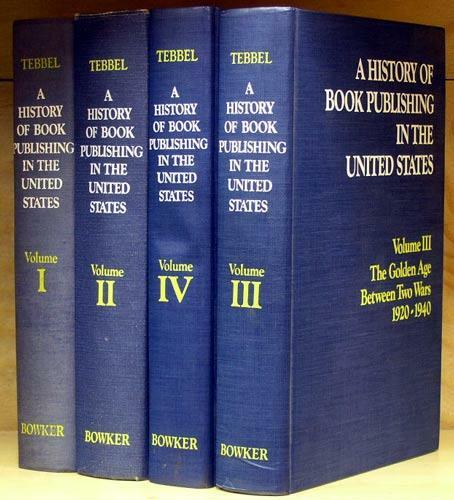 The essays in these volumes were previously published in a variety of journals and books. Fine condition. New York: Naomi Spector, 1981. First Edition. Paperback. Fine. First edition. Number 8 of only 100 hand numbered copies. A fine press publication printed by Joseph Wilfer at Dieu Donne Press and Paper. A list of titles of paintings, drawings, and prints by Robert Ryman from 1958 to 1981. Artist Book. Fine condition in original cellophane envelope inside a navy blue paper envelope. Scarce and attractive work. Vigiliae Christianae. A Review of Early Christian Life and Language (35 vols./ 35 Bände) - Vol. 1 (1947) - 35 (1981). The Whittington Press for The Celandine Press, 1981, 1981. 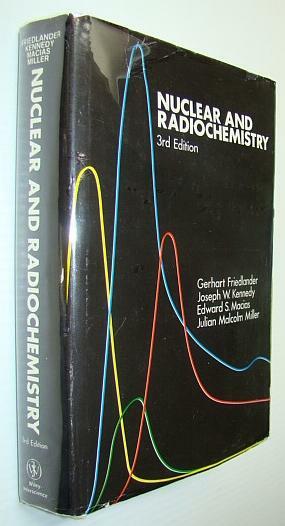 FIRST EDITION SIGNED BY ALL 22 CONTRIBUTORS. 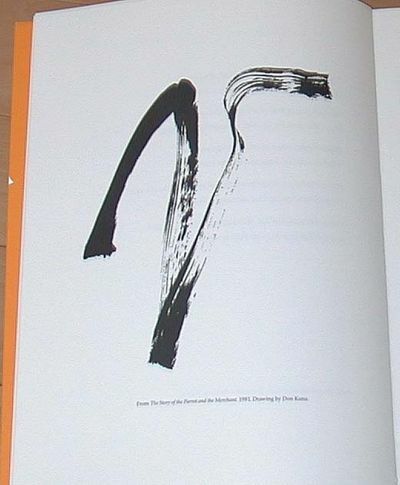 1 vol., preface by Roger Pringle, limited to 75 numbered copies of which this is #22. Bound in 1/4 black morocco, vertical gilt lettered spine, top edge gilt, others uncut, with the original slipcase, LIKE NEW. The poems by Larkin and Whistler are the only ones published prior to this collection. The contributors are Dannie Abse, Alan Brownjohn, Patric Dickinson, Elizabeth Jennings, Norman Nicholson, Sacheverell Sitwell, Anthony Thwaite, Kingsley Amis, Leonard Clark, Roy Fuller, Philip Larkin, Alan Ross, Stephen Spender, Ted Walker, Laurence Whistler, Patricia Beer, Charles Causley, Ted Hughes, Edward Lowbury, A.L. Rowse, R.S. Thomas and John Wain. Teatral'no-Koncertnaja Moskva = Theatrical-Musical Moscow. Moscow: Moskovskaja Pravda, 1981. 8vo. illus. Very Good. Issues 1-8, 10-13, 15, 18-19, 21, 23-25, 27-31, 37-39 weekly issues of 39. 27 issues in total. New York: Vincent FitzGerald and Company, 1981. First edition, first book of the press, and the first of the extraordinary run of translations of the work of the 13th century Persian poet, Jalaluddin Mohammad Rumi, one of 200 copies all on Rives, all hand-numbered in pencil, 50 of which are signed by the artist and contain an extra suite of the five woodblock prints. Page size: 6 1/2 x 9 1/2 inches; 36pp. Bound: tan paper wrappers, author in deeper brown and title in purple on front cover and author and title in deeper brown on spine, housed in publisher's gray slipcase. The text is letterpress in Arrighi, Bembo and Rhapsodie types at Kelly Winterton Press. 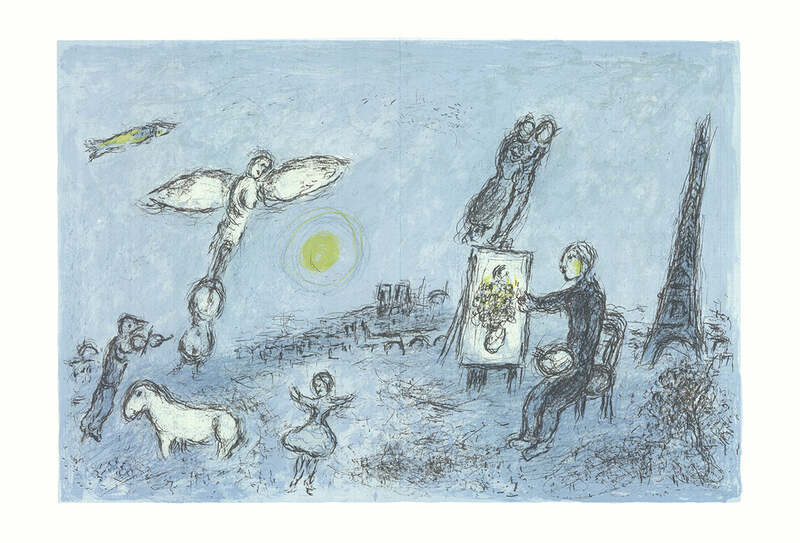 An elegant harbinger of the great things to come from this renowned maker of artist's books. No economist, before or since Hicks, has achieved such 'Olympian' scholarship"" (Fonseca). ""Hicks will probably appear in the history of economics as the greatest British theorist of the century"" (Niehans, 371). Hicks was awarded the Nobel Prize in economics in 1972. The essays in these volumes were previously published in a variety of journals and books. Fine condition. n.p., n.d.. 10.75" x 17". "Interview Magazine, October 1981, Published by Interview Enterprises Inc., 10.75"" x 17"". 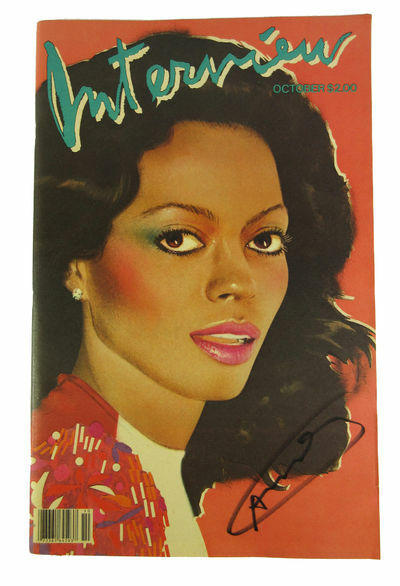 Cover depicting Diana Ross boldly signed by Andy Warhol as ""Andy"" lower right. Fine condition with lightly toned pages.A stunning example in scarce fine condition of this iconic cover of Interview Magazine, with the portrait feature of Diana Ross. 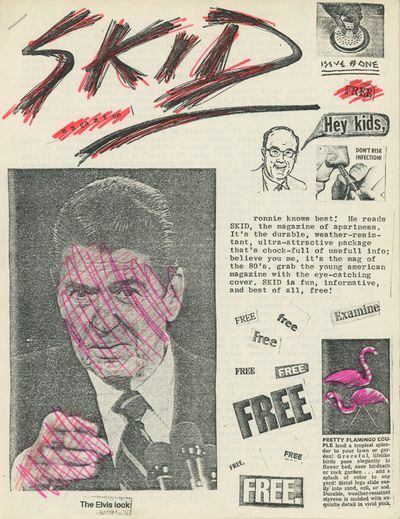 Published by Andy Warhol, this magazine boasts Andy's clean, bold signature to the front cover. Perfect for the Warhol collector, purchased from Warhol Lawyer John Silberman." 1981. First Edition . 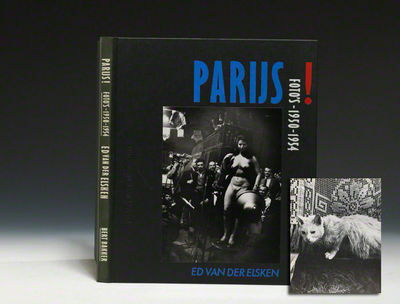 VAN DER ELSKEN, Ed. Parijs, Fotos 1950-1954. Amsterdam: Anthon Beeke, 1981. Slim quarto, original black cloth, mounted cover photograph. $1500.First edition of this revealing photo-essay on Parisian life in the early 1950s, illustrated with 172 pages of finely screened halftones, with a special segment on Australian Â“femme fataleÂ” Vali Myers, featured in his first photobook, Love on the Left Bank.Parijs Â“derives from the years when Van der Elsken lived in ParisÂ— between 1950 and 1954Â— focusing on an especially personal body of work that he made at the time: diaristic snapshots of girlfriends and acquaintances living on the Left Bank (Parr &amp; Badger, 245). Â“Throughout these years, Van der Elsken and William Klein often seemed to be shadowing one anotherÂ… always emphacizing the expressive over the reportorial and always gravitating to societyÂ’s marginsÂ— to the rebels, the gangsters, the bohemians, the artistsÂ” (Roth, 156). Van der Elsken used many existing photographs he had taken of one particular girlfriend, the Â“kohl-eyedÂ” Australian beauty Vali Myers, known later as Â“the Witch of Positano,Â” for the way she darkened her under-eyes with black paint. Text in Dutch. See Icons of Photography, 141; Roth, 146; Parr &amp; Badger, 245; Open Book, 168. Fine condition. 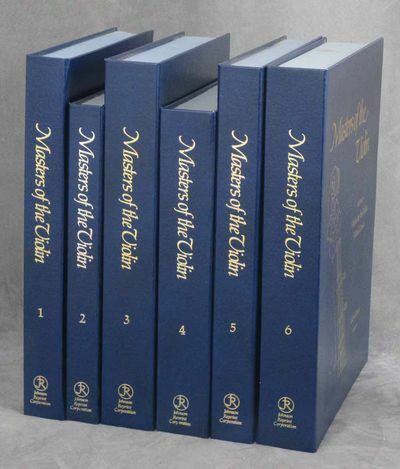 Masters of the Violin, 6 vols., complete--Volumes 1, 2, 3, 4, 5, & 6; Includes...Six Violin Concertos and Sixty-Four Cadenzas by Luigi Luigi Borghi, Hortulus Chelicus, Johann Jakob Walther; Hortulus Chelicus, Uni Violino Duabus, Tribus et Quatuor, Subinde chordis simul sonantibus harmonice modulanti, Astudiosa Varietate Consitus, Il maestro, e discepolo, opera seconda, Allettamenti da camera a violino solo, e violoncello, Gramatica di musica, opera prima, Contrasto armonico, a tre violini, opera decima; Sei duetti a due violini, libro secondo, opera XV, Pantomine a due violini..
New York: Johnson Reprint Corporation, 1981. First printing. Hardcover. Very Good +. Six volumes, complete. First editions, 1981. Softcover scores housed in folding hardcover portfolios with velcro clasps, clean unmarked text, Very Good to Near Fine volumes in Good to Very Good portfolios, minor discoloration to the covers of some of the books/booklets, light rubbing or creasing to the covers of some of the books/booklets, light soiling to some of the portfolios, some of the porfolios with wear to the velcro clasp. Uncommon set. Harrap, 1981. Paperback. Used; Good. Paperback; English language; 8vo - over 7.75" - 9.75" tall; good condition. Your book will be securely packed and promptly dispatched from our UK warehouse. All international orders are sent Royal Mail airmail. 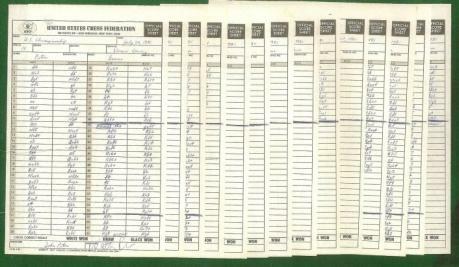 South Bend: United States Chess Federation, 1981 Complete set of original score sheets in Lev Alburt's hand in octavo (8 1/2" x 5 1/2). Signed by each of his contestants excep the Benjamn score.The 28th U S Championship and Zonal Qualifier was a hard fought contest which ended with a tie for first place and two co-champions, Grandmasters Walter Browne and Yasser Seirawan. Since the top three finishers automatically qualify for the Zonal, a playoff between Larry Christiansen, Lubomir Kavalek and Sammy Reshevsky, who tied for third would have to be held to determine which one would join Seirawan and Browne. The event got under way on July 9 at the Americana Hotel in South Bend, Indiana. The 9th was the opening ceremonies and players’ meeting. The draw for pairing numbers allowed Seirawan a piece of luck, assuring him an extra White over the course of the tournament. In the first round the game were hard fought, and the only “grandmaster draw” coming from Browne. Browne decided to negotiate an early truce after consuming a great deal of time trying to crack Boris Kogan’s solid opening. Sergey Kudrin, a last minute replacement for John Grefe, made his debut in the tournament an exciting one, sacrificing a piece. Sammy Reshevsky grabbed the offer and sent his King on a long hike. After time control Kudrin admitted that his attack had failed and the first decisive game was recorded. John Fedorowicz methodically turned back Leonid Shamkovich’s attempt to squeeze an advantage from an English opening. Kavalek tested Lev Alburt’s favorite Alekhine’s Defense in the tensest struggle of the round and managed to convert an extra pair of pawns into a win. Christiansen chose a Caro-Kann against fellow Californian GM Jim Tarjan and a theoretical battle ensued. Christiansen neutralized Tarjan’s slight edge with a series of characteristically aggressive moves and won after Tarjan lost the thread of the game shortly before adjournment. Evans and Lein had the best game of the round, a beautiful strategically effort by the émigré GM who displayed originality and fine control to defeat defending co-champion Larry Evans. Seirawan and Byrne played a Queen’s Gambit Declined in which Robert Byrne’s hurry to simplify brought him unexpected difficulties; Seirawan reached a Bishop ending and exploited his opponent’s weak Kingside to win a pawn. Byrne resisted staunchly and managed to thwart all of White’s winning attempts. Joel Benjamin, the youngest entrant, replaced invitee Nick deFirmian, who chose to play in Europe, and his game with Jack Peters was the longest to the round. It was a graduation of sorts for Benjamin, who would have otherwise been defending his U S Junior title. At the end of the first round Reshevsky, Kavalek, Lein, Peters and Christiansen all had one point each. Round two saw only two draws, Lein and Kogan and Christiansen and Shamkovich. This vicious and exciting session resulted in wins for Reshevsky, Kudrin, Byrne, Seirawan, Alburt and Kavalek. In one of the crispest battles, Alburt’s violence paid dividends as he ran Tarjan’s King around the board, picking off most of his pawns in the process. At the end of this round Reshevsky and Kavalek each had two points. Round three had a shocking development. As Fedorowicz awaited the arrival of Evans, a search by the tournament staff disclosed that Evans had checked out of the hotel! Browne bemoaned the fact that he now had two more Blacks than Whites. While Lein and Byrne, Evans’ first two opponents, dropped for +1 to and equal score as a result of his departure (Evans’ score would have to be erased since he had completed less than half his games). Later in the day Assistant TD Larry Paxton explained that the evening of the second round Evans had notified him that he was feeling ill and this was the reason he had come late for his game with Byrne. The reduction in the number of aspirants to 15 was unfortunate for the championship. In this round, one of the most interesting games was between Shamkovich and Alburt. After the third round Reshevsky and Kavalek each had 2 ½ points. In round four Benjamin and Brown followed the Reshevsky and Browne game for a short time but the U S Junior champion played more ambitiously for White with a highly unclear and difficult position arising. Benjamin made the most of his chances in the time scramble and put Browne away. The barn burner was definitely Seirawan and Peters in the fifth round. Seirawan playing the English and Peters trying out the variation that brought Viktor Korchnoi the deciding victory in his latest match with Lev Polugaevsky. As Korchnoi's second, Seirawan was conversant with the possibilities for White and started offering material wholesale, an all-out tactical brawl resulting. Seirawan's style of play was a real departure from earlier days, with an added dimension of tactical ambition that was missing in his not-to-distant past, making him an even more difficult opponent to face. Peters was up to the task, defending with great accuracy and emerging from the complications two pawns up. Seirawan stayed cool and showed his pressure was sufficient, and the game ended in a forced repetition of moves. In round six Christiansen and Alburt was another Alekhine's Defense and, once again, Christiansen came out looking for an early knockout. He sacrificed a pawn for a quick attack and, when Alburt missed his best chance, Christiansen bashed him flat with a Bishop sacrifice. A fine display of justifiable violence and the highlight of the round. In round seven Kavalek unveiled an original idea in the English and, despite tough resistance, overcame Fedorowicz in the second session. This win put Kavalek at the head of the pack, passing Reshevsky, who had to watch from the sidelines with a bye. Tarjan and Byrne also began as a theoretical discussion, Byrne defending the Sozin variation of the Narjordf. The game angled toward the well-known Noguieras-Tarjan contest, until Byrne produced a a sizable improvement. Tarjan responded with a blunder, and Byre instantly achieved a winning position and notched his first official victory of the tournament. Assistant TD Larry Paxton caught everyone’s eye when he arrived for round eight in full referee's uniform. black pants and black and white vertical striped shirt. John Fedorowicz game him a flag in case the arbiter felt the need to call any penalties, but the round progressed without any infractions. The hitting was hard, however, and the round was the most dramatic so far, with the frontrunners in great danger on every board. When the eighth round was completed, all the players had finished at least half of their schedule. Despite the pressures of a zonal and the strength of the competition, the players remained fearless and ambitious, with virtually every game a fight without compromise. 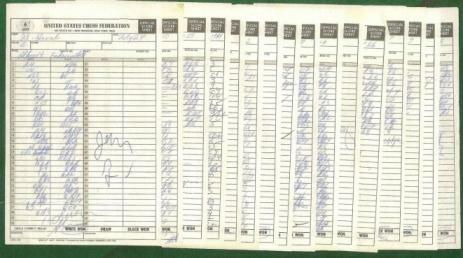 The standings had Kavalek leading with 5 ½, followed closely by Reshevsky at 5. Christiansen, Seirawan and Kogan were just a half point behind Reshevsky, each with 4 ½. Alburt, Brown and Peters were within striking distance with 4 each. Byrne was by himself with 3 ½ followed by Tarjan, Kudrin and Benjamin with a score of 3. Lein, Fedorowicz and Shamkovich trailed with scores of 2 ½. Through the generosity of Dr Craig Crenshaw of McLean, Virginia two special prizes in memory of his wife, were announce. GM Arthur Bisguier was designated as the chief judge of these awards, one in the amount of $250 to go to the most interesting game of the event and the second award of $150 to go to most interesting endgame. In round nine Lev Alburt fell victim to a resurgent Walter Browne, who had risen from the ashes and put himself back into contention after an appalling start. Browne left his Hershey bare en prize while sealing, but TD Bill Lukowiak alertly placed it in another envelope. Upon resuming, Browne opened both envelopes, fished off the chocolate and then finished off Alburt for his second consecutive win. The feature of round ten was the meeting of the tournament leaders. Reshevsky chose the Petroff against Lubomir Kavalek, hoping to simplify and maintain his undefeated status. though Kavalek was not in a peaceful mood, he failed to dent Sammy's position and settled for sharing the pint and the lead. In round eleven Seirawan joined the leaders by winning his second in a row. Fatigue began to rear its ugly head in round twelve, hardly unexpected in light of the intensity of play. As this harrowing tournament headed into the final rounds, the first signs of fraying nerves became evident. Benjamin, responsible for on of Browne's early losses, played the spoiler again, pushing Christiansen to the brink of elimination. The spectators in the analysis room benefited from sophisticated commentary in round thirteen when GM Jonathan Speelman stopped to visit on his way home to England. With his back to the wall, Christiansen turned in a smooth performance and defeated Kudrin. At this point, Christiansen had Reshevsky and Kavalek left to play. Seirawan had Tarjan and Lein and Browne had Fedorowicz and a last round bye. The top places were still open to any of the five leaders and Christiansen who two games left against them was the key figure in the drama. In round fourteen Tarjan agreed to a quick draw with Seirawan, who now needed only a draw in the last round to guarantee him a share of the U S Championship title and a spot in the interzonals. Browne managed the White side of a Queen’s Gambit with a sure hand and ground out a full point against Fedorowicz to cap a brilliant surge to the top. This victory assured Browne of an interzonal berth and left him a half-point ahead of Seirawan. Christiansen showed his class in the most critical game of the round with a neat win over Reshevsky. Leaders going into the final round were Browne at 9, Seirawan with 8 ½, Kavalek and Christiansen with 8 each and Reshevsky with 7 ½. Browne, who had flown home to California the night before because he had a bye in round fifteen, followed the day's events by phoning the analysis room periodically. The contenders made an interesting study as they awaited the final round. Christiansen, who could clinch an interzonal spot by beating Kavalek, appeared relaxed and confident. He intended to try hard today, a draw would bean a playoff. So why not try to decide matters now? Reshevsky, who had led from the opening round, needed to win to have a chance at a playoff. He was too nervous to remain by his board pacing and circling the room most of the session. Kavalek and Seirawan arrived a bit late, but both seemed relatively calm. The Alburt Peters game was the only one between non-contenders to deliver a fight. Alburt forced Peters to sacrifice the Exchange, but the game got progressively more difficult for White. At the finish, Peters had to survive a time scramble and a last minute flurry of tactics to gain the win-and a share of the special prize for most interesting game. Lein and Christiansen both managed slight advantages against their opponents, but neither Seirawan nor Kavalek felt like cracking and throwing away weeks of hard work, and both games were drawn. This meant that Seirawan had clinched an interzonal spot and a share of the U S title with Browne; Kavalek and Christiansen had tied for the last qualifying position. In the meantime, Reshevsky had sacrificed a pawn for positional compensation a a queen less middle game and was able to beat Kogan for a shot at the interzonal with a play off with Christiansen and Kavalek. The Florence Crenshaw Prize of $250 for the most interesting game of the event was shared by Alburt for his seventh-round victory over Benjamin and Jack Peters for his last-round win over Alburt. The prize of $150 for the most interesting end game went to Leonid Shamkovich for his defeat of Kogan in Round ten.Condition:In very good condition. Summersong" for 23 wind instruments. Autograph sketchleaf in full score. Signed. 1 page. Folio. Notated in pencil on 16-stave paper on one side of a bifolium (310 x 232 mm.). Undated, but ca. 1981. Together with a typed letter signed from the composer to the prominent American choral conductor Harold Rosenbaum regarding both the present work and the composer's "Seasons Such as These," commenting on their significance and hoping for more performances. "Noted for his lyrical and harmonically adventurous music, David Chaitkin has composed symphonic as well as a variety of chamber and vocal works. His music has been performed by such ensembles as the BBC Philharmonic Orchestra, the Tanglewood Music Center Orchestra, the DaCapo Chamber Players and the St. Luke's Chamber Ensemble. He has received awards from the American Academy of Arts and Letters, which described his music as "subtle, powerful works of a knowing musical intelligence," and "effortlessly original. A lyrical metamorphosis of timbre, rhythm and shape engage the ear...his music is both intense and sensitive." Davidchaitkin.com. Chaitkin's teachers included Dallapiccola, Shifrin and Imbrie. 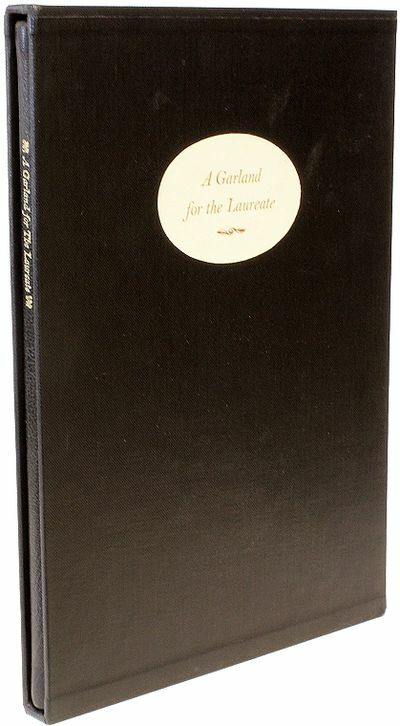 (New York): Delacorte Press, (1981). (New York): Delacorte Press. (1981). First. First edition, limited issue. Fine in fine slipcase. One of 500 numbered copies Signed by Vonnegut. .
Bloomfield Hills and Columbia, 1981. First edition, one of 95 copiues signed by Coover, WITH AN ORIGINAL PAGE OF MANUSCRIPT TIPPED IN. Illustrated. 1 vols. 4to. RED SILK OVER BOARDS. FINE, but quite ugly. 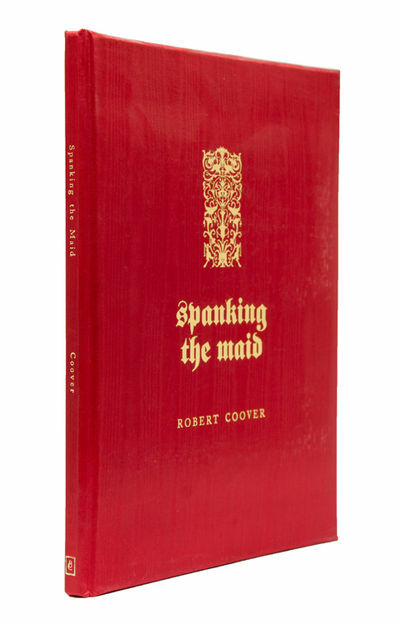 First edition, one of 95 copiues signed by Coover, WITH AN ORIGINAL PAGE OF MANUSCRIPT TIPPED IN. Illustrated. 1 vols. 4to. With Page One Page of Manuscript. (New York): Delacorte Press. (1981). First. 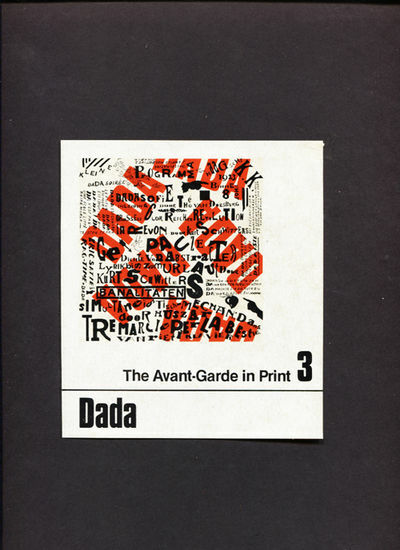 First edition, limited issue. Fine in fine slipcase. One of 500 numbered copies Signed by Vonnegut. .